I am a native Long Islander having grown up in Bethpage. After graduating from Marywood University, I pursued a Master of Arts degree in History specializing in African Studies. I had many opportunities to study in East, West, North and South Africa over the years. I joined the social studies faculty at Farmingdale High School where I taught Humanities 10, African Studies and Art History. There I met my future husband, Don Hartford a math teacher. Married in 1977, we were blessed to have a daughter, Devon who excelled in music, drama and diving. She is married and living and working in Chapel Hill, North Carolina having completed her PH. D. in Child and Adolescent Psychology. After teaching Humanities for more than twenty-five years, I began to more fully understand that the tug on my heart was coming from God. 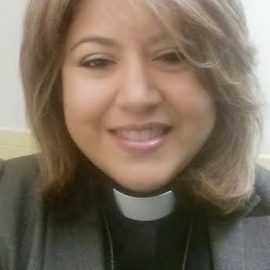 After a long period of discernment, I decided to leave teaching and enter the candidacy process for ordained ministry in the Evangelical Lutheran Church in America, and begin my theological study and training at The Lutheran Theological Seminary in Philadelphia in 2005. With the love and support of my husband, I graduated in May 2009 with a Master of Divinity degree. In December of that same year, after several interviews and preaching opportunities, the congregation of St. David’s offered me a part-time position as their Associate Pastor. 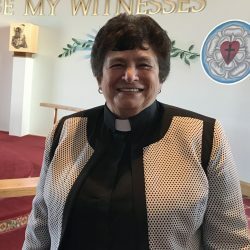 Only six days later, I was ordained to the Ministry of Word and Sacrament by Bishop Rimbo at St. Peter’s Lutheran Church in Huntington Station. After nearly four years at St. David’s I felt God’s hand once again in the call process as the good people of Ascension Lutheran extended a call to me to be their part-time Associate Pastor in February 2013. 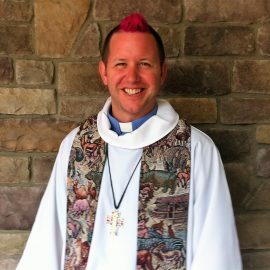 I began my new ministry at Ascension on April 8th. When I’m not ministering to God’s people, I love spending time with my husband, daughter and son-in-law. I also enjoy having friends over for a casual dinner, going to the movies, reading a book at the beach shaded by an umbrella, kayaking on Tiana Bay, listening to music and playing my guitar.